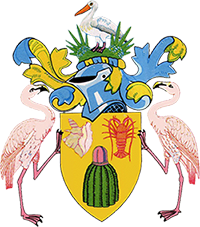 Turks and Caicos Islands Special Investigation and Prosecution Team (SIPT) Update. Former Premier of the Turks and Caicos Islands (TCI), Michael Misick, was released on conditional bail by the TCI Supreme Court today, Monday, 13 January 2014. Mr Misick faces charges of Conspiracy to receive bribes, Conspiracy to defraud government, and money laundering related to his time in office. He will appear next at the TCI Supreme Court for a sufficiency hearing on Friday, 7 March 2014. The Supreme Court has ordered that the terms of Misick’s bail are not to be made public. Misick’s bail application was initially rejected by a Magistrate on Tuesday, 7 January 2014, before being accepted on appeal by the Turks and Caicos Supreme Court later in the day. While his bail was agreed, the conditions were not met, and he was remanded in custody at Her Majesty’s Prison Grand Turk, from where he was released today. Michael Misick was arrested December by 2012 by Brazilian Federal Police acting on a provisional arrest warrant. Arrest was sought by the TCI Special Investigation and Prosecution Team, who then submitted formal extradition papers in January 2013. He arrived back in TCI on Tuesday, 7 January 2014. There are 11 defendants on related charges who are scheduled to face trial on 7 July 2014. These are: Floyd Basil Hall; McAllister Eugene Hanchell, Lillian Elaine Boyce, Jeffrey Cristoval Hall, Clayton Stanfield Greene, Thomas Chalmers Misick, Lisa Michelle Hall, Melbourne Arthur Wilson, Quinton Albert Hall, Earlson McDonald Robinson, Norman Saunders Jnr. Co-charged developer Richard Michael Padgett has already pled guilty to bribery and conspiracy to pervert the course of justice and will be sentenced on 31st March 2014.